The adventure is on the water! 144 islands await to be explored on the Bay of Islands. Although it is highly unlikely you will see them all, taking a walk, snorkelling or having a BBQ on the beach on one or two of the islands is not a bad way to spend some time here. 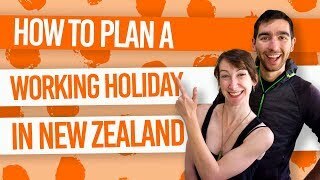 Find out how exactly you can be doing some awesome adventure activities in the Bay of Islands as well as some budget activities in this Bay of Islands guide for backpackers. The adventure is out on the water with a few awesome boat tours taking backpackers to islands, to swim with dolphins, and do a spot of parasailing. Although they call it the “Winterless North”, you can make the most of the pristine swimming beaches in summer (December–February). The Bay of Islands is steeped in history too, as this was where the Waitangi Treaty was signed between the British and the Maori, and is where the first Europeans started to settle in New Zealand, with Russell being its capital back in the 19th century. So get exploring the ever-popular Bay of Islands! Start in Paihia and visit the islands! Get on the water: speed boat, swim with dolphins, kayak, scuba dive, sail and snorkel! Go to the first capital of New Zealand, Russell. See where the Waitangi Treaty was signed. Drink wine, eat chocolate and take walks in sunny Kerikeri. This small holiday town of Paihia is where many backpackers choose as their base while visiting the Bay of Islands. In fact, Kings Road should be named ‘Backpacker Road’ with it’s street full of hostels from the the big NZ hostel brands to the independent backpackers. On this street also is the the one ‘hip n’ happening’ late night bar in Paihia, Pipi Patch, which gets very busy on Saturdays so get there early to avoid the queue. All backpacker roads aside, Paihia’s wharf is where water adventures begin. Take a ferry or a speedboat out to some of the stunning islands to snorkel, walk or relax on the beaches. Of course, cruises can take you out to the Hole in the Rock, for your token Bay of Islands photo. You can also go on a scuba diving expedition to the sunken Greenpeace ship, The Rainbow Warrior, which has become a manmade reef. Stay closer to the water’s surface on a GreatSights Dolphin Cruise by swimming with bottlenose dolphins. Even while cruising on the water, you are likely to see them jumping out of the water and coming up for a breather. Not to mention the laid-back sailing trips, like those with Barefoot Sailing Adventures, where you can explore the Bay of Islands, stop for a snorkel, and/or sit kick back with a beer at sunset. If you want to spend more time floating on the water, take a sea kayaking tour with Bay of Islands Cruise & Kayak or Coastal Kayakers to the islands or up the Waitangi River. Manoeuvring through the Mangrove forests while trying to not hit every single tree growing from the water is a bit of a challenge, if not just a bit funny. For more ways to have fun out on the water, see 7 Water Activities in the Bay of Islands. In total contrast, see the islands while free falling at 16,000ft with a Skydive Bay of Islands. Or fly by parachute at 1,200ft on a parasailing trip. There’s no getting wet, at least if the driver doesn’t screw up, and it’s fun to do with a friend or two. On dry land, there are a few walks to take for some decent picture opportunities. The Opua Forest Paihia Lookout Track offers views of Russell and Waitangi. The 1 hour return track is easily accessed just a couple of minutes from the town. Also easily accessible is the Harrison Scenic Reserve Walk, the town’s bush walk. It’s hard to imagine this small town was New Zealand’s first capital city! It was also dubbed the “Hell Hole of the Pacific” because it was a base for drunken sailors and whalers. Today, a quick ferry from Paihia or a drive along the coast can take you to this quaint town of Russell. It’s a good place to stop for a bite to eat and some Kapiti ice cream. For an awesome view of the Bay of Islands and to step onto a significant part of the Maori and British history, take a walk to Flagstaff Hill. The 30min loop walk is north of Russell. At low tide you can start from Watering Bay and at high tide start from the Wellington and Kent Streets intersection. The flagstaff atop the hill is the remnants of the 5th flagstaff, after the others flying the British flag were cut down by Maori. If you have spent any time in New Zealand, you will have heard of the Waitangi Treaty. The town is situated about 60km north of Paihia. On 6-February-1840 a treaty was signed between the Maori people and and the British Crown. Particularly famous for its controversy, The Waitangi Treaty was not translated correctly between the English language and the Maori language. It resulted in Maori losing much of their land, which they are still getting back today, such as the largest man-made forest in NZ, Kaingaroa Forest. If you are looking for some culturally significant sights in Waitangi, go to the Waitangi Treaty Grounds. It holds the Treaty House, built for the first British resident, the beautiful marae (Maori meeting house) Runanga, the 35m long waka taua (war canoe), and the naval flagpole marking the spot where the treaty was signed. For more information, check out 5 Reasons to Visit the Waitangi Treaty Grounds. You can explore the grounds yourself by paying the admission fee of NZ$25, or combine with a guided tour and Maori performance for NZ$40. With warm sunny weather providing excellent fruit growing conditions, Kerikeri is a good spot to find some WWOOfing work. Although Paihia is the main pick up point for GreatSights’ bus tours to Cape Reinga at the very north of the New Zealand, Kerikeri is also a place to hop on the bus. The drive is long but to sandboard on sand dunes, see where the Tasman Sea and the Pacific Ocean meet, and drive along 90 Mile Beach, it is worth the journey. Bus tour companies pick up from Kerikeri or rent a car to give yourself more flexibility. For more information on the wider area of Northland see: Northland – Guide for Backpackers. If you are a fan of tasting, eating and drinking then Kerikeri is perfect. See how the chocolates are made at Makana Confections and have a few cheeky samples. There are a few small wineries and vineyards in the area, such as Cottle Hill Winery, Ake Ake Vineyard and Marsden Estate. For a walk and waterfall, head to the Kerikeri River Track for a stroll along the river. The end of the track treats you to the 27m high Rainbow Falls. To get an idea of what a Maori village looked liked before the Europeans came to New Zealand, visit Rewa’s Village. This full-scale replica includes a marae, chief’s house, canoe, and hangi pit (ground oven). Learn about the history of Russell at the Russell Museum. Fish for snapper, king fish, marlin, tuna or even a shark on a fishing charter. On the way to the Bay of Islands, make sure to stop off in Whangarei and see Whangarei Falls! Get brilliant Bay of Islands views from Mt Bledisloe. Visit Haruru Falls, 5km west of Paihia, by either kayak, car, or the 90min Waitangi Haruru Mangrove Walk. See native and exotic parrots at The Parrot Place, Kerikeri. 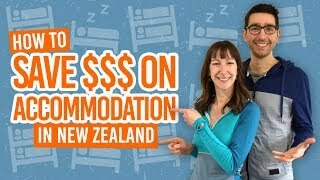 Where to stay in Bay of Islands?